Scroll down for our most popular recommended cruises and to view the full list of cruises from Hong Kong. Only cruises with remaining available cabins are listed. Alternatively you may wish to view cruises from Beijing, cruises from Shanghai, cruises from Singapore, cruises from Bangkok, cruises from Kobe, cruises from Tokyo or explore more options for Asia cruises. Cruises from Hong Kong give you the opportunity to access both Asia and the world. 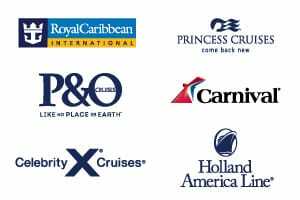 When booking cruises from Hong Kong to explore Asia, you’ll mainly find the cruises are one way journeys between Hong Kong and other major cities in Asia such as Singapore, Tokyo and Shanghai, among others. However, for those wanting to take advantage of the large number of airlines that fly into Hong Kong, there are also a small number of Hong Kong round trip cruises to choose from. Cruises from Hong Kong can also introduce you to other regions of the world – look for cruises disembarking in Dubai, Cape Town, and even all the way to Southampton. Our cruise specialists are on hand to help you with all your cruises from Hong Kong enquiries. Contact us or request a call back to chat with one of our friendly consultants. Don’t forget to ask about our fantastic flight and hotel deals to package up your Asian holiday.